The computer giants Microsoft announced the day before about their latest series Surface Pro2 and Surface 2. The announcement was made by the Microsoft Company at the New York event, where they officially announced their curtain raiser for upcoming line up of surface hardware enabled devices. With the latest range of tablets, the Microsoft tried to improve their tablet series powered by windows 8. If you are wondering as what are the added features or the improvements made in the latest upcoming tablets from Microsoft, then go back to the down memory lane and compare with this latest upcoming series. The Surface 2 comes from the same line up of the Surface RT tablets, with the latest additions and improvements like an improved processor of Tegra 4, the resolution of the screen which stands at 1920 x 1080, with an advanced battery life of 25 percentile from its previous line up. On the platform, for announcement of the latest tablets, the Microsoft chairman, proudly acknowledged the hard work and contribution of the thinkers and engineers behind the latest series. He further said that these models were specially made to make work process appear smooth, quick and lightning fast. 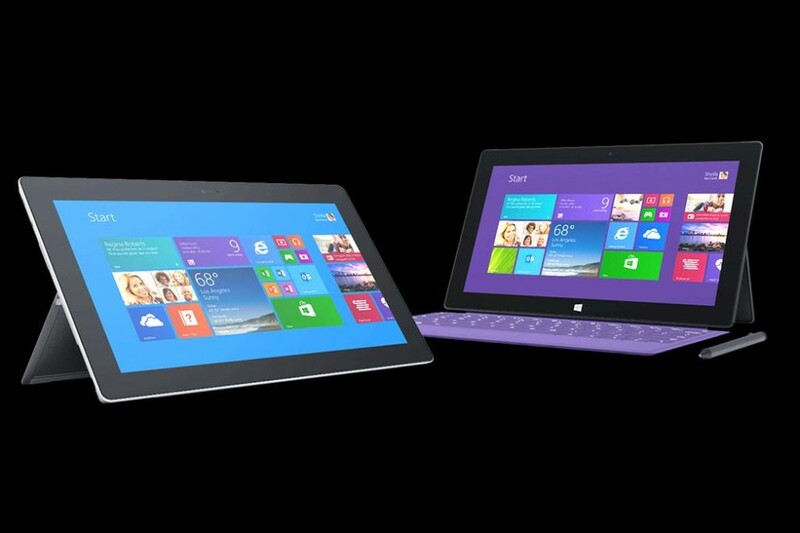 The Surface 2 comes in with lighter and thinner shape, although keeping the adjustable kickstands within it. The Surface 2 comes in with advanced USB ports of 3.0 instead of the 2.0 USB that was available in the previous tablets from Surface line ups. The latest addition to the software in the Surface 2 is that one gets the full coverage of the Office outlook in built in it. The Surface pro 2 is on the lookout to set in new benchmark to the windows 8 operating system powered tablets. This tablet will be seen with Intel hazel power process; through this one can expect some superior graphics and more durable battery life. As per the information that can be gathered in from the summit, the graphics will be on the higher end with a 50 % boost to the clarity and the battery will set in with a 75% better performance. Due to these changes and increase in standards of hardware, the device stands in a 20 percentile better facilitated over the others in its series. There are a few accessories which have been also announced to give the required boost in performance for these two upcoming tablets from Microsoft. While the first one is the touch cover, this is slated at a cost of around $199, the functions that it will serve are: additional redefined sensors, thinner design and new gesture controls. This will also perform the task of backlighting. The cover case will bring in much needed battery booster for Surface Pro 2 and Surface 2. The price of the Surface 2 I kept at $449, which makes it a complete competitor to the Apple’s complete iPad series. The pre orders for these products will start in a few days. The products will be available for purchase from 22nd of October.